-- In this book from Wrede’s acclaimed Lyra fantasy series, a young woman must fight for her life while on a quest to claim a magical family heirloom. Three weeks after Eleret’s mother is killed, the messenger arrives with the tragic news. She died far from home, succumbing to wounds sustained in battle, and Eleret must travel to reclaim her belongings. The overland journey to the city of Ciaron is treacherous, but Eleret has no fear. She straps a dagger to her leg and sets off to recover one of her mother’s prized possessions: a ring etched with a raven. Though she makes it to Ciaron safely, getting home is another story. 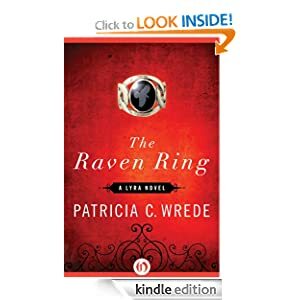 The Raven Ring or to sample this book for FREE! Even bullies can learn to share. Why should a large animal get away with bullying a smaller one? That's what happens when Elephant takes Hippo's spot in the pond, which causes Hippo to pick on Lion, Lion to pick on Leopard, and Leopard to pick on Monkey. Vincent Nguyen's illustrations - a mix of watercolor, charcoal pencil, and digital techniques - enrich the story as Monkey asks his mother for advice, and she comes up with just the right solution to solve the problem. 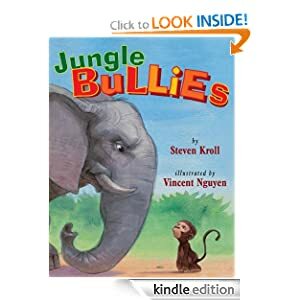 Jungle Bullies or to sample this book for FREE! -- Dr. Richard Draman is trying desperately to discover a cure for a disease that causes children to age at a wildly accelerated rate—a rare genetic condition that is killing his own daughter. When the husband of a colleague quietly gives him a copy of the classified work she was doing before her mysterious suicide, Draman finally sees a glimmer of hope. The conclusions are stunning, with the potential to not only turn the field of biology on its head, but reshape the world. Soon, though, he finds himself on the run, relentlessly pursued by a seemingly omnipotent group of men who will do whatever it takes to silence him. 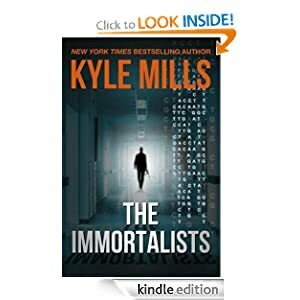 The Immortalists or to sample this book for FREE! -- It's springtime on Cranberry Island — and love is in the air. It seems like every woman has the hots for buff trainer Dirk De Leon. He and his equally-gorgeous business partner, Vanessa Black, are leading a weight-loss retreat at the Gray Whale Inn — forcing innkeeper Natalie Barnes to lighten up her butter-laden breakfast menu. The mood on the island darkens when two grisly discoveries are made. The first is a skeleton walled up at the island's lighthouse. The second is a corpse of the fresh variety — the handsome Dirk! Could the spirit that once embodied the skeletal remains — perhaps the lighthouse keeper who disappeared a century ago — be responsible for Dirk's death? The police pin the blame on Natalie's boyfriend who — to her dismay — had a long-ago fling with Vanessa. To find the true killer and ease her own aching heart, Natalie must untangle the knot of jealous girlfriends and spurned admirers that once surrounded the hunky trainer. 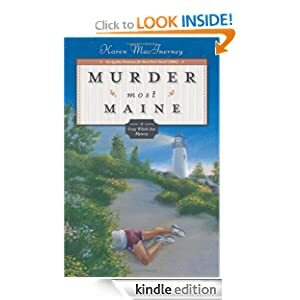 Murder Most Maine or to sample this book for FREE!